ScienceDraw integrates the drag-and-drop and pen-drawing functions together so that you can create any science diagram you want. The streamlined user interface makes it easy for new starters to get familiar with. 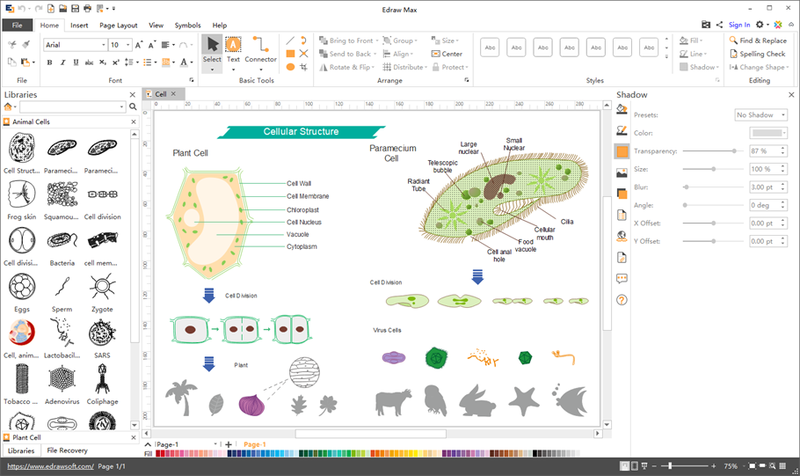 No difficult commands to learn and no drawing skills required, users of all levels could make professional-looking science diagrams easily. The software contains a large range of science elements, covering mechanic symbols, laboratory equipment shapes, chemistry equations, optics, mathematic illustrations, cells, human organs, etc. They are vector symbols that can be stretched or modified without quality loss. If the existing shapes could not meet all your needs, you can also draw new elements on your own. Create scientific illustration for school materials, academic papers, and magazines. 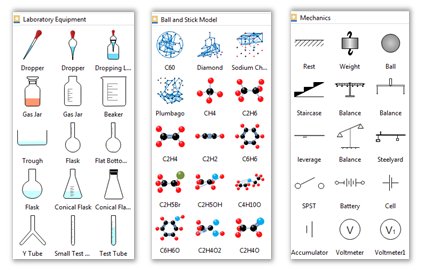 ScienceDraw is a perfect choice for physicists, scientist, and educators to draw science illustrations and science diagrams. It also has the abilities to insert local images and SVG files. 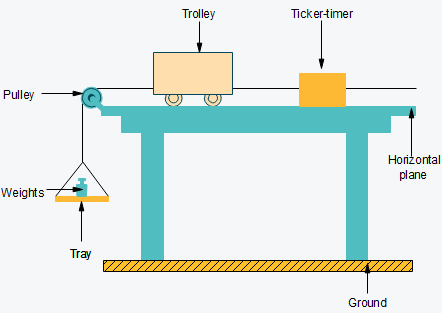 The finished illustrations can be saved as raster/vector images or other formats. Each time you start with a ready-made template or a blank page. Then use thousands of built-in symbols from the pre-defined libraries. 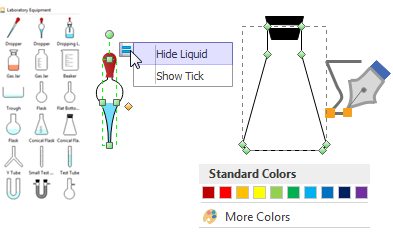 When finish, one click you can save your drawing as PDF, PNG, SVG, PS, and many other file formats. The following drawing templates are included in the software. Choose the exact template to start your design. 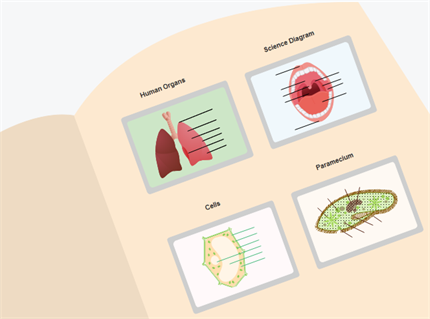 ScienceDraw provides the best convenience to draw science diagrams and illustrations. You'll be surprised by its simplicity, amazed by how easy it works, and satisfied with the price. Try it now!